This is my parent’s back yard in Kamloops. 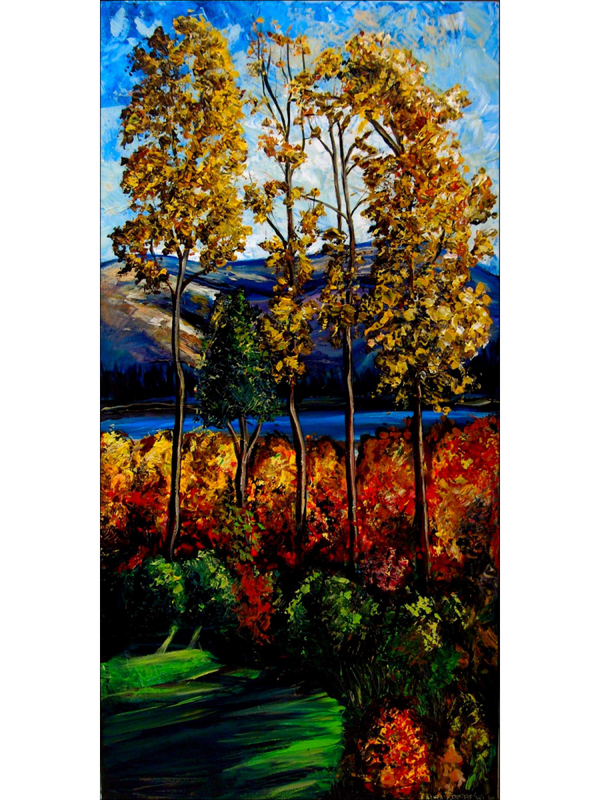 There is a little spot above the fireplace that is just perfect for a 36″ tall by 18″ wide canvas. We were trying to think of what could go there, and we happened to look outside… well, why not the back yard?